Scisnack | Do you want to become a climate researcher? Climate change is one of the greatest challenges facing society today. To understand its possible impacts we need to understand how the climate has changed in the recent past. For this we need a large quantity of data and the public are becoming an invaluable source through “citizen science”. Citizen science involves direct participation of the general public in scientific research; it not only makes a valuable contribution to research but also raises public awareness of both the subject being investigated and the difficulties faced by researchers. The concept of citizen science (or crowd science) involves encouraging nonprofessional scientists or members of the general public to participate in a research project on a voluntary basis, usually under the direction of, and in partnership with, professional scientists. It is not actually a new idea: amateurs have, for example, long been making valuable contributions to the science of astronomy. The advent of the internet has more recently opened up a vast range of possibilities for people to collaborate. Our understanding of the world’s climate is strongly dependent on past observations. Climate proxies such as ice cores and tree rings are useful for understanding long-term changes, but direct observations and instrument measurements have been recorded over recent centuries. Of particular value are the recordings of temperature and barometric pressure made on board ships, since historical marine data points are very scarce. A major advantage compared to other proxies is, that log books offer direct measurements and precise dates of the events they are describing. The digitalization of log books is, however, an expensive and time consuming undertaking. 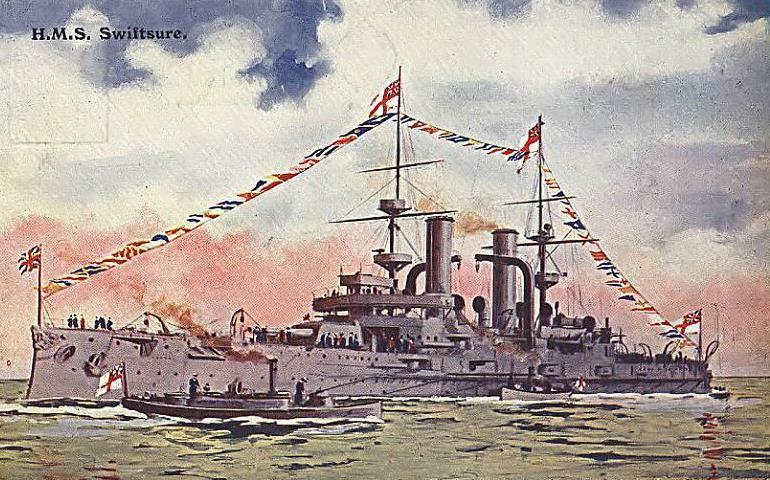 For example, ships of the British Royal Navy were sailing all around the globe as the British Empire was growing and each vessel had to keep a daily log book that included weather observations. In the UK alone the number of un-digitized log books between 1670 and the 20th century is about 300,000. 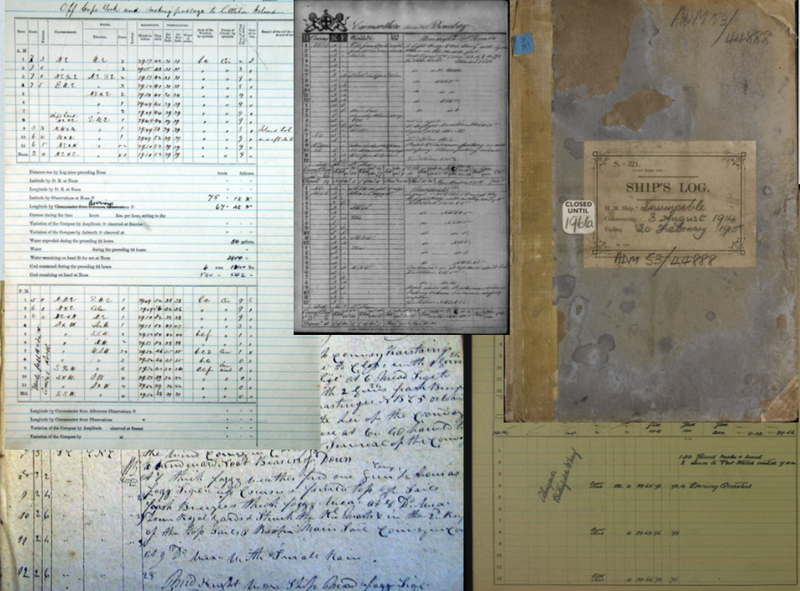 How can volunteers be attracted to support the digitization of such records? The Old Weather project is an online platform where people can sign up to be part of a team that works on the records of a particular vessel. The main task is to transcribe the log book entries regarding the location of the ship, barometric pressure, temperature, and any other weather observations. These log books can, however, also contain a lot of other information. You might, for example, find entries about life on board the vessel, disciplinary punishments, damage to the stores, battle action, or other interesting events. The Old Weather site has therefore attracted not only people with scientific interests, but also those with a passion for history. Participants all receive initial training through an online tutorial and can also interact through the Old Weather forum, not only with each other but also with the scientific team behind the project. One of the difficulties with citizen science is keeping the participants interested in the work as it mostly involves repetitive tasks. In order to provide additional motivation and reward the volunteers for their participation, elements of game design may be introduced. In the Old Weather project such “gamification” is implemented with a maritime theme. Participants decide which boat’s log books they would like to work on and become part of that boat’s digitizing crew. They can then climb through the ranks (starting as a cadet) according to how much they transcribe. It is even possible to take over the captain’s position, but that rank then needs to be defended against aspiring lieutenants by maintaining the output! Introducing a competitive aspect can, however, prevent some people from taking part in a citizen science project if they feel that it detracts from the serious scientific objectives. The ranking system can also demotivate low scoring participants rather than valuing their efforts, or result in the pursuit of quantity at the expense of quality. The Old Weather project seeks to ensure quality control of the digitized material and avoid harmful corruption of the data by having each log book page digitized by at least three different participants. The concept of having a wide range of people involved offers a number of advantages. First of all, the handwritten records can be far better digitized by a person than a computer program, which can only deliver unreliable results that would make a further control system necessary. Secondly, the larger the number of people involved in transcribing, the shorter the time required to complete a dataset and the larger the number of observations that can be digitized. At the same time, since several people work on each log book a system of error checking is in place that will ensure an accurate transcript. In order to keep motivation and number of participants high, the Old Weather team started whaling.oldweather.org, so volunteers now have even more choice of what voyage and logbook to work on. The data that the Old Weather volunteers digitize is then processed by the British Met Office and NOAA. But why is it so important to involve the general public? As mentioned previously, the availability of historical marine weather observations is very limited; moreover, observations over the sea are in some respects even more valuable than land-based observations as the former are sparser and the atmosphere is much more homogenous than over land and a single observation can therefore be assumed to be representative for a larger area. The data is added to international databases of historical weather records which are used to identify weather patterns and weather extremes. These databases are also used to test the ability of climate models to reconstruct past climates and to help us understand the future of the climate. Scientists in almost all fields have large datasets to process and only limited financial resources. Meanwhile the public appear to have a great desire not only to learn about research projects, but also to actually take part in them and improve their understanding. The results and methods of climate science are currently one of the most discussed research topics, so why should scientists not avail themselves of this potential and involve the public in something that they are already interested in, by allowing them to add their own contributions? You can find the Old Weather project here or if you are particularly interested to “cruise” in Artic waters, you find the new whaling project here. Are you more of a landlubber? Maybe check out the search for fossils at the Kenyan Lake Turkana basin! Currently a PhD student based at the department of Water and Climate Risk at the VU Amsterdam, her focus is on global flood risk modeling. Before she came to the Netherlands, Johanna was involved in a project on the reconstruction of sub-daily Australian weather observations from the 19th century as an intern at the Met Office Hadley Centre. 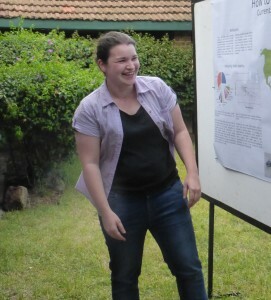 Tagged Climate, East Africa Summer School, history, Modelling, science communication.